Add style and sophistication to any room with this pewter gray, softback bell lamp shade. 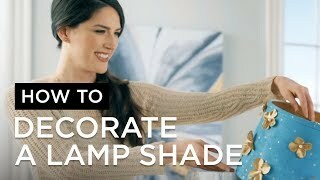 This tasteful lamp shade is an easy way to step up your space. It comes in chic pewter gray with a polished brass fitter. The correct size harp is included free with this shade. From the Brentwood Collection. 10 1/2" high. 8" across the top x 14" across the bottom x 11" on the slant. Design by the Brentwood Collection. 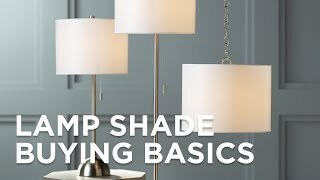 The color and size will look perfect on the bedroom lamps. looks like it will be good for my lamp! Been looking for the color and size! It Matches the Small one I just Ordered!! I am redecorating my master bedroom and the color of my current shade will not work. Also, my current shade is pleated and I hate the way it holds dust bunnies. Similar to what it had. Replaces with a new color. BEST ANSWER: This lamp shade comes with a 9" brass colored harp. Thank you! Wish it was a silver harp and finial. Seems like a grey lamp shade would be odd with a brass or brown tone lamp. These shades are perfect! They look just like their picture and look beautiful during the day or night. Very happy with them. I love my lamp shades. They match my décor perfectly and they look very nice on my repainted lamp bases.